At this time of change and transition, I have been thinking a lot about the people who have shaped my professional path. I am lucky to be able to count amongst my mentors people like Dan Hill and Steve Lennon who are both exceptional visionaries and conceptual thinkers. Both Dan and Steve are the kind of guys that will relentlessly strive not only for performance on a project, but for industry transformation. You cannot knock out of either of these grown men that there are more productive ways to think about the small and the large problems we face in cities and in organisations. It's great to be surrounded by people who have got that itch: they are constantly churning out new ideas, creating new theories and developing new paradigms. 'Strategic Design' is one of these concepts, or rather approaches to problem solving, that Dan has been pondering on for the past 5 years or longer. Strategic Design is the discipline of shaping the culture of decision-making around a project to create a unique proposition for the project. Borrowing from the fields of interaction design where an understanding of users and audiences is crucial, strategic design built the 'why'? of a project, when so many of us are running around like headless chickens fussing over the 'what?' I remember going to project meetings with Dan where the more technically minded team members within Arup would be focused on the technical feasibility of a certain part of a project, and Dan would throw a spanner in the works by reeling way back to the fundamentals: 'What is this project for?' he would ask, as if it were a magical spell to shut any engineer up and envelope the room with confusion. The term 'Strategic Design' emerged through on-going conversations with Dan, his clients, and some noted collaborators such as Ingo Kumic of Knox City Council. No longer was it enough for us to develop strategies for a place, we also had to design a purpose for it. That purpose would become the guiding thread for the development strategy and the development itself, as well as the measure against which to assess the success of the soft and hard outcomes of the project. Dan developed this idea further during his tenure at Helsinki Design Lab, in collaboration with colleagues Bryan Boyer and Marko Steinberg. They even posted a little spiel on it on the now archive website for HDL. Many definitions of Strategic Design have emerged since then and have become the foundation of firms like Strategic and Creative, a Sydney based outfit that designs the future of organisations. Mike Priddis and Hanno Blankenstein who founded S&C have turned Strategic Design into an art and a science. It was only a small leap from this territory, the territory of designing a proposition for a built environment or property project, to building the brand that sits behind that project. By brand we never intended the 'brand expression' that is expressed through naming, logos, and other types of marketing collateral. We also meant the deployment of the brand strategist toolkit to help foster an emotional connection to place. In more recent years, this concept of place has emerged and gained some airtime with property clients. Formerly uncomfortable with the fact that place comes to life in tangible and intangible ways, the property sector is now invested in the idea that emotional connections to projects is the only way to activate them, to weave them into the fabric of the city, to make them come to life. But they possibly lack the tools, vocabulary and skills to be able to do that in a genuine way. To compound the challenge further, users of 'place' are a really demanding bunch of people who now expect cities and the urban fabric to renew at the pace of the media cycle. As consumers of cities, we are an incredibly fickle, difficult and uncommitted group of consumers. We flutter from offer to offer, looking for the buzz of the new, in quest of a place that says more about our personal status in society than it does about our cities. I've come to this conclusion that place is therefore a feeling, a search for status at work or in private life. Place responds to the basic needs of belonging yet feeling like an individual. To achieve this, developers are going to need to deploy the skills of brand strategists, marketers and experience designers. They will have to harness the power of informal networks and the influence of tastemakers and gamechangers. They will have to learn to embed themselves into the community they are serving rather than simply delivering a product. I am personally very excited about this growing realisation in the property sector: I am excited that some of the 'softer skills' are coming to be valued as crucial to the success of projects and to their sustainability. This has implications for the toolkit and skills of a placemaker: in the past 20 years, placemaking has actually been synonymous with urban design, and has been an attempt to physically build in the identity of a place into its fabric. This is how we end up with ghastly public art or multi-coloured paving when really, this purely physical toolkit has always been inadequate for the task at hand. With a more sophisticated understanding of the constituent elements of place, there are opportunities for strategic thinkers with urban development experience but also research, insights, brand strategy and leadership development and facilitation skills to complement client teams and wider consultant teams to really nail the life of a place from the outset of a project. 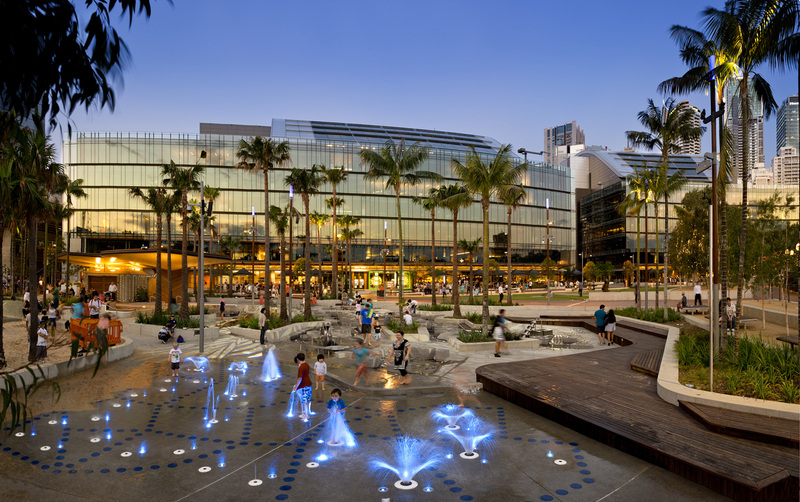 I therefore argue that Strategic Design and Placemaking are now merging as methodologies and philosophies, the language of one is influencing the other to create an exciting new space. That's where I will be. See you there. There is nothing like a review of an event that comes 6 months after the fact. Well actually there is (and this is a pathetic attempt to retroactively justify why I have not been able to contribute to my blog as much I would like to) and that is that since the Adelaide based TEDxCity 2.0 in Adelaide last October, there have been developments both in Australia and overseas that will make this post a much richer commentary than it otherwise would have been. For those of you who aren't in the loop, TEDxAdelaide hosted a dedicated TEDxCity 2.0 event last October. The licensee and curator, Kristin Alford of Bridge8, is what we call a 'futurist' and as such a very apt host for the day. The program gathered the very best of urban thinkers and social entrepreneurs of Adelaide (and this includes the Lord Mayor of Adelaide, Stephen Yarwood) in an intimate setting. 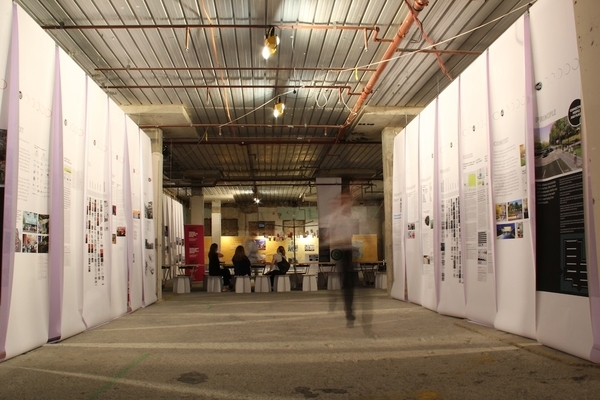 The event was developed to coincide with the IDC's closing statement, the 5000+ Collaborative City exhibition at Tuxedo Cat on North Terrace, a great way to retire the IDC's role within DPC and the State Government. I had been involved in the Moving City Forum, once of the 5 or 6 forums that formed the basis of the consultation and collaboration between public and private sector to imagine the future of Adelaide and to develop speculative strategic projects throughout the city that would promote integrated design. At the forum, I was asked to speak about data in cities and how movement in cities extends beyond the movement of goods and people into flows of invisible data. It was an Urban Informatics 101 that, I think, challenged the thinking for some of the attendees. You can have a look at my talk here. I would also encourage you to browse the other talks and resources that have been compiled on the 5000+ website, a great compendium to use as an educational tool. The Moving City Forum was a good introductory piece for the TEDx talk which went one step forward and built on the argument that data is also moving through our cities capture by sensors, analysed by computers and fed back into the urban realm to establish that invisible information shapes the way we design and use our cities. You can view the whole talk here. My talk was called 'City of Bits', a title that was not of my choosing but that was an apt reference to William J. Mitchell's eponymous book of 1996. A visionary piece of literature that foresaw the logic behind cities and people connected to one another through the platform of the World Wide Web. For TEDx, I couched my argument in an obvious analogy, pointing out the shortsightedness of relying on the tangible and visible as inputs into the design of our cities. 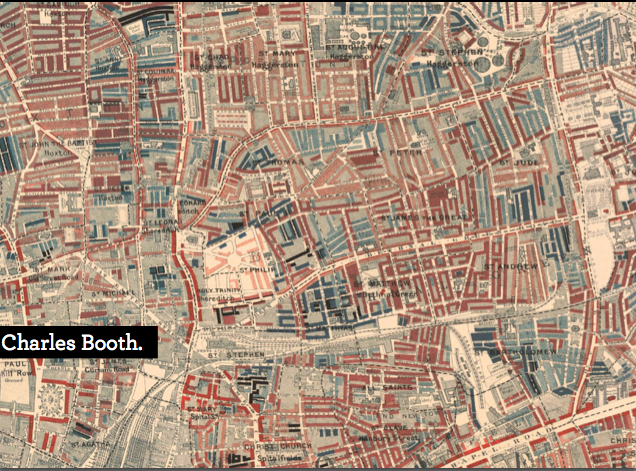 I used the analogy of Charles Booth's mapping of London under the cholera epidemic to show that small and invisible thing such as bacteria, once visualised and understood, reshaped forever our understanding of the connection between water, sanitation and built form. A bit of a retro argument to make a point about the digital age but seemed to illustrate my premise adequately. This established the discipline of data visualisation as a strategic activity in urban analysis, not only a cool art form that will fade with time. I looked to the work of CASA at UCL, SIDL at Columbia University, and now the recently founded Civic Data Design Project at MIT as research institutes that are establishing data visualisation as a strategic discipline. There has been some debate in the past few months around the fact that data visualisation and infographics in general have been trivialised and are, in many instances, not as statistically sound as they should be, and used as a way to make an argument or a dataset more convincing that it really is. This is an issue that mapping and statistical analysis in general suffers from, as both of these can be, in fact, deeply political and subjective toolsets. I feel it is important to acknowledge the limitations of this discipline and the need for spatial analysis to be grounded in sound methodologies as well as intuitive ways of presenting complex information. This is something that the Data team at the Guardian does so well. 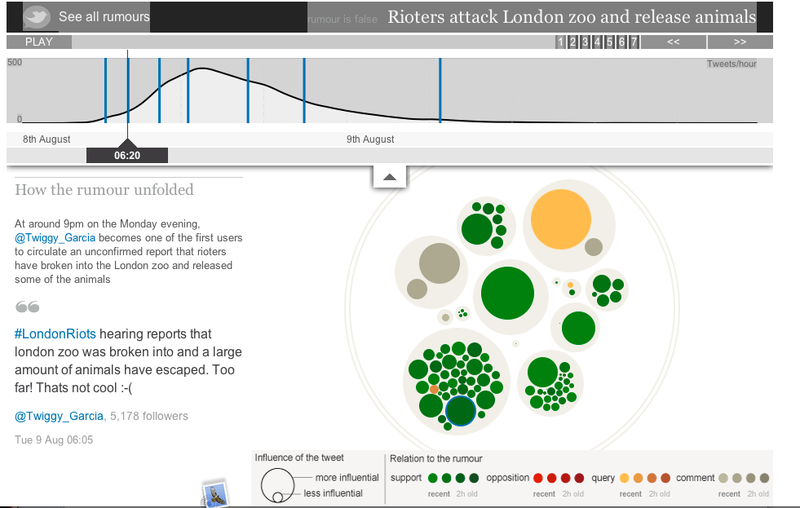 Only yesterday I was looking through their forensic work on the London Riots which looked into the detail of how social media helped create and quash rumours. The interactive interface is also nothing short of awesome. The team explains how they built it here. 1. Data as a primary input shifts the discipline of urban design into the realm of service design where the urban experience is created spatially but also in a layered fashion through the data about that space that you can query at any one time. Whether through augmented reality applications such as the Museum of the Phantom City, or through location- based services such as Evernote's Hello or Highlight, our experience of a particular space in the city is something that we can tune in and out of. This is impacting on the way city makers are thinking about the role and programming of public spaces: why should urban design elements of a city be fixed when it could be looked at as a platform for renewable programming, supported by the basic infrastructure of power and data? This is a theme I had already explored on Arup's Thought Leadership Blog a few months earlier. 2. The second way in which data changes the way we use our cities is in the possibility of gaining mass insight into the way cities are used. For this I used the example of the interactive visualisation project Arup did for the City of Melbourne which looked at understanding on a city scale the patterns and frequency of noise complaints throughout the city. Rather than looking at this data as a series of incidents that are seemingly unrelated, the interface help policy makers think about the relationship between complaints and council-led activities and permitted uses. 3. The third is the exponential growth of Digital Public Space which refers to digitally connected spaces that are emerging across cities globally. Wi-Fi is indeed fast becoming a basic public amenity, yet one that is still marred with a lot of confusion and unresolved governance. The concept is to make of public spaces both physical and virtual commons that can be used as a third space. 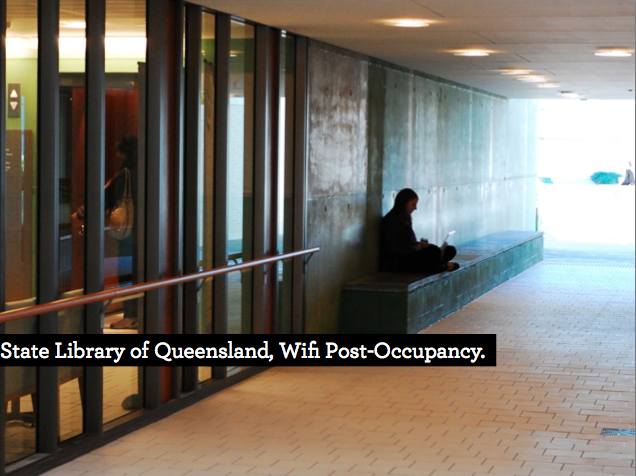 Through our work with the State Library of Queensland, the State Library of NSW and others, we have found that digital public spaces are amongst the most popular offerings of some of these institutions and that these drive visitation numbers in unexpected proportions. 5. In terms of how increasing data is impacting the design of our cities, data and our expectation for large and instant amounts of it is also driving a particular infrastructure agenda around the design and delivery of fibre optic networks. The NBN is currently being rolled out in Australia, which under the Labor government, connects fibre to the home (the Opposition plan, proposes to connect fibre to street corners and then use the existing Telstra copper infrastructure to connect to homes, a subpar solution in my humble opinion). The intention behind the roll out of the NBN is that it will drive the growth of a digital economy (which it probably will), but this economy will also continue to demand ever improving infrastructure, or in other words, Hyperperforming Infrastructure. The NBN's currently proposed speeds are probably fine for domestic use, but the use of fibre in commercial contexts, where instant access to data is a matter of profit or loss, is actually driving locational choices in cities. As Frank Partnoy explains in his book, Wait: The Art and Science of Delay, locational decisions for stock trading firms in New York City are driven by the need to be able to wait as long as possible before making a decision on whether to buy or sell stock. And we are talking milliseconds here. Which is where the demand for not only high performing, but hyper performing infrastructure is coming from. It is banking and high frequency trading that is driving that agenda today. What sector will be next? 6. Finally, data about the way we use our cities and its analysis is shifting design from a predictive discipline to an adaptive discipline. This is an idea that Dan Hill and I used to discuss a lot when he was still at Arup (and I am sure he won't mind me using the diagram created to explain this): a concept that challenges a lot of what we hold true about architectural design and practice as a way of anticipating activities and behaviours in a space. Adaptive design looks first at the evidence of behavioural patterns to then intervene in space and thus creates a practice of urban prototyping of services and spaces that is much more nimble and flexible than the way we currently procure our built environment. This quick and imperfect write up and hopefully a good way to translate what my thinking was on the day, especially given the limited time I had to present on the day (more TED speaking training needed here!) and is also the foundation for the interview I did on ABC by Design for Fenella Kernebone and Janne Ryan only shortly after. I will soon be doing a write up of the #digitaldisruption talk presented by Siobhan Toohill (@verdantflaneur) of Westpac, Shauna Coffey of Deloitte, Rachel Dixon of Viacom and myself. Stay tuned and enjoy the weather! Hello all, I am back in my hometown, getting to know the place again. I don't know if any of you ever feel this, but the first couple of days of being back, I feel like I am in a movie, people don't look real, places look like movie sets. I've just gotten over that feeling now and am well and truly back in the swing of things. Paris is impressing me (weather aside), I am finding a bunch of little innovations left, right and centre that I perhaps never would have noticed had I lived here uninterrupted for the past 10 years. 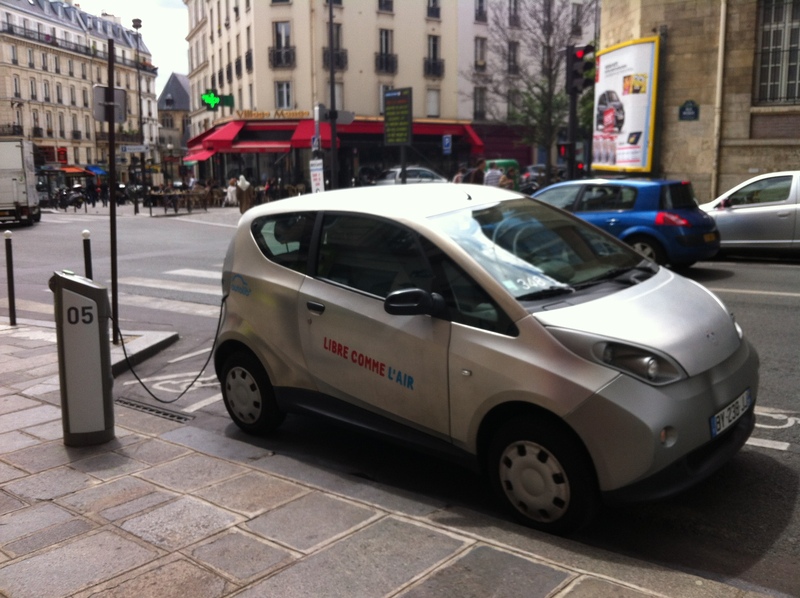 The most noticeable is 'auto lib'', the electric vehicle equivalent to velib' which the world, with the exception of Parisians, regard as a quite successful bike sharing program. I've used it a few times and if you're a member, it is a pretty smooth process. You can tell JC Decaux are struggling to keep them all in working order though. My friend Martina from Boston was using one yesterday with a couple of her friends and between broken gears and floating toilet paper caught in the wheel, you never quite know what you're gonna get with Velib'. Back on auto lib' though, it's pretty amazing as a system. You sign up, very much like Go Get in Sydney, except that the cars are electric therefore silent and non polluting! The only downside I can see is that you don't hear the cars when you're crossing the street without looking, which happens to me a lot. 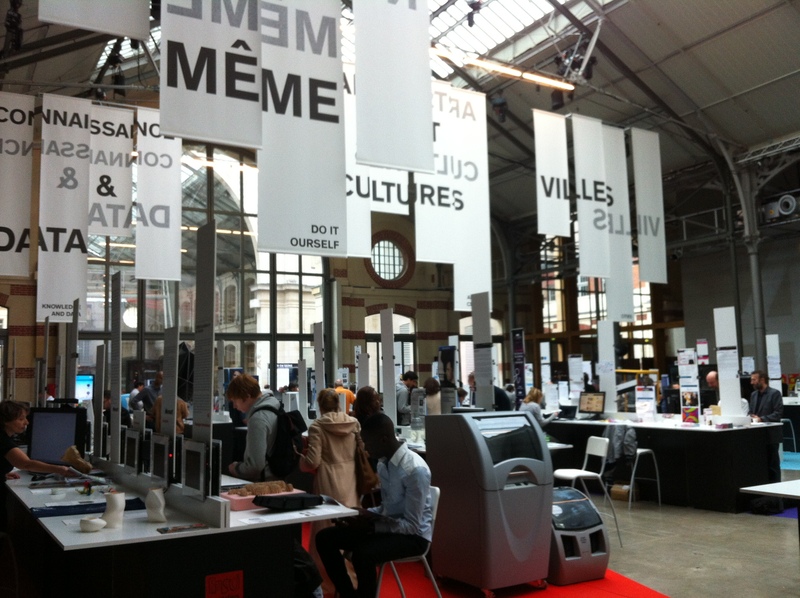 Speaking of urban innovations in Paris, I (briefly) attended Futur en Seine yesterday at le 104 in Paris's north. Le 104 is a newly created 'creative cluster' that has been converted from its former life as a municipal morgue into a cultural centre. It started out quite artsy fartsy as the stage for Philippe Starck's UK TV show called 'Design for Life' but has now realigned its mission statement to be more integrated into the local community's life. It's now the stage for a number of artistic projects including performances, a restaurant, a gallery and temporary event and workspace. For Futur en Seine, le 104 even hosted a Fab Lab. It's quite extraordinary how le the 104 hosts an event like Futur en Seine as well as a hip hop rehearsal and a Tai Chi class, all at the same time! Futur en Seine is a festival of digital ideas for the city. It gathered architects, industrial designers, programmers and innovators of all sorts in a two day extravaganza to show wares and share ideas. It was a bit hit and miss, a lot of ideas were still in prototype stages, which is a good thing. Large companies such as SNCF and EDF were there too to showcase their innovations, but their section of the expo was largely under patronised. A couple of projects resonated with me, others I found a bit gadgety but I suppose these kind of events are about testing out the appetite, viability and commercialisation potential of a lot of ideas. I went to Futur en Seine with Emile Hooge, of Nova7 in Lyon, a local consulting crew that helps clients navigate service design from a user-led perspective. They work on transport and urban projects amongst other things. It was great to finally meet Emile, we'd been interacting for months on Twitter and finally got together to discuss the informatics and service design landscape both in Paris and Sydney. Interestingly, Emile had a lot of experience working with local government here in France and was sharing some interesting thoughts on the merits of prototype over strategy which is certainly a thought I will be bringing back to my practice. He argues that prototyping a service or a product, using industrial and service design methodologies can often offer the 'proof of concept' needed to engage in a full-blown digital strategy. It's tangible, solves a real problem and often demonstrates the cross department collaboration needed to bring good projects to fruition without automatically entailing a full-blown organisational restructure. Start small and nimble is the message I got from our chat. Amongst the piles of gadgets and toys that we found all over the place, there were a few projects that stood out for me, wearing my urbanist hat. First off was a project that built off the success of 'Ville sans limite' (city without limit) a collaborative urban design tool and consultation process that has been used in several French cities. 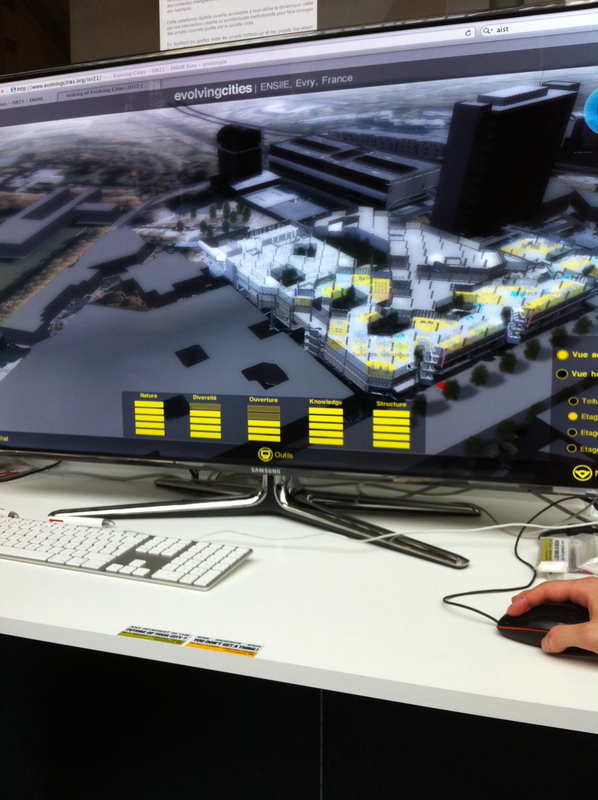 The idea is to use augmented reality as a platform for collaborative design of specific urban sites across the city. 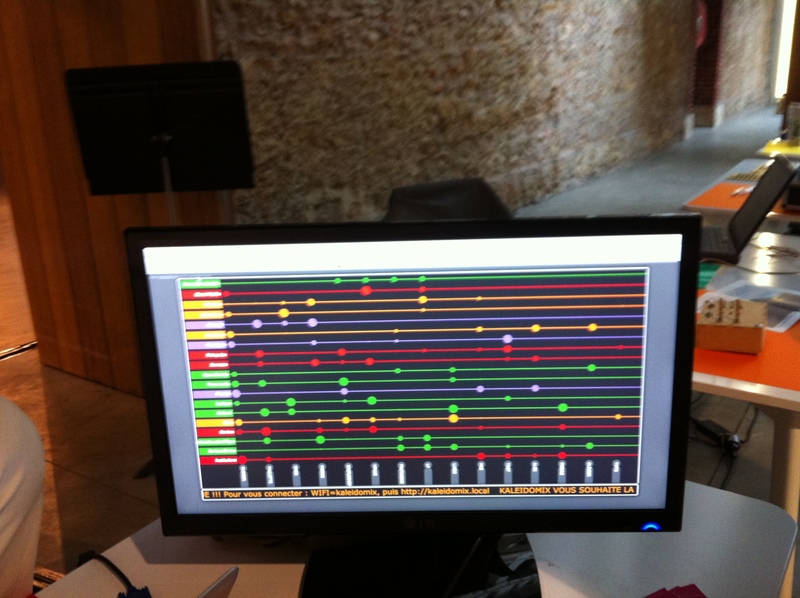 I didn't think it was that successful as a design tool, but I was interested in its potential as an educational tool. The users can adjust their designs according to 5 sets of criteria that include greenery, density, diversity and 'knowledge' (whatever that means) as they hold the iPad up to view the site in question. Unfortunately you can't pan and view a whole street, you're restricted to viewing the one intersection or site but the idea is that people can view in real time the impact of certain values and decisions on the urban environment. The guy at the stand was telling me that this is used by Nantes and Paris as a consultation tool to engage local communities on the future of certain sites. I found the engagement with the delivery of urban outcomes a bit superficial, having more trees does not in itself constitute a good outcome, but like I said, I think this kind of tool can be used to educate the public on possible futures and engage in a debate about local values and priorities. A good conversation starter. A second iteration of this project was called 'Evolving Cities', a simulation environment that again, looked at a specific site, and allowed users to express their preference for the building in question by adjusting various parameters as in the previous project. The project they were currently working on was a school in the outer ring of Paris and the team was trialling this platform as a way to engage with a user's perspective and gain ideas and input from the students themselves. The project focused largely on architectural considerations, mostly workspaces, trying to gauge how open plan they should be. Again, I thought the parameters were limiting and only dealt with the surface of the issues at stake when designing education spaces. I think there is potential to use this more as an adaptive tool, to test designs and layouts rather than projecting possibilities that are determined by various combinations of five parameters. This is the criticism I often level at parametric urbanism in general: I find it a simplistic and form-driven method of thinking about the city, which is, in reality, less about form and buildings and more about what people do in them. Out of the process came 'kaleidomix' a social geolocated platform that allows museum goers to connect whilst in the museum. It follows a lot of the principles Dan Hill had suggested when working with various clients in Australia, the idea is to get a real time view of what people connect with and why. The prototype is still clunky but the end goal is to get a large dashboard type installation is certain galleries in the museums so that people can sign in and interact with other visitors and with the collection in a socially augmented way. The dashboard displays comments and votes for favourite pieces in the gallery and allows you to see who else is interested in the same things you are. Once you leave the gallery, your data is no longer visible to the public and any personal information is deleted. The advantage of a project like this, although still in prototype stage, is that it also allows curators to understand what resonates with visitors and why and develop new ways of helping visitors interact with the collection. In my opinion, this back of house, analytical mode is somehow more interesting, as it could yield quite large datasets and allow for exhibition designers and curators to understand, in real time and across a statistically significant population, the impact of their design. 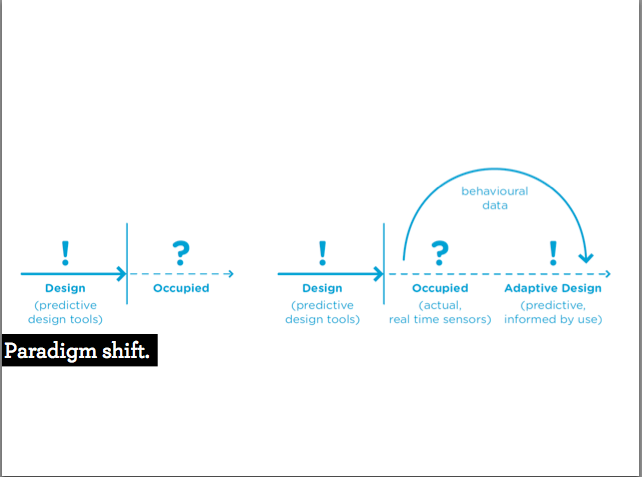 Again, it moves design away from a predictive tool into an adaptive tool that is strengthened by behavioural data. It's important to remember, these are prototypes but what's interesting to me is that Nod_A uses pretty broad ranging tools to engage with end users and curators in this context. They bring everything, from laser cutters and printers, computers, toolboxes and so on, opening up the range of possibilities and enabling participants to prototype rapidly, learn from mistakes and refine the concept. Great morning at Futur en Seine and good to see innovation in action in Paris!